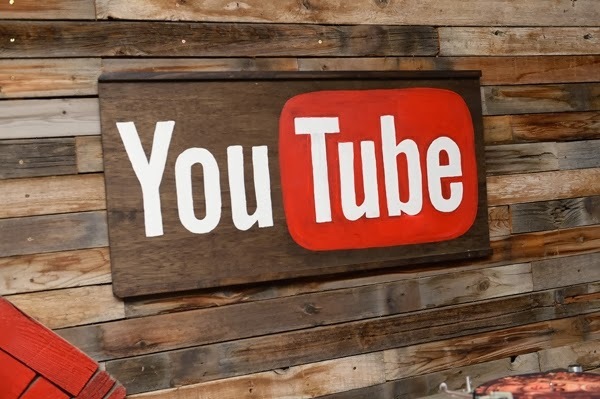 A YouTube executive's recent revelation that the company has paid more than $1 billion to the music business over the last few years was no surprise to artists who’ve noticed an increase in online-video money on their royalty statements. "YouTube income keeps going up. It has gone up every single accounting period," says Josh Grier, an attorney who represents Wilco, Bob Mould, Ryan Adams and others. "Those who I made deals for a few years ago, and [who] bought into the game, are getting money." The $1 billion statement by Tom Pickett, YouTube's vice president of content, at a Midem conference panel in Cannes, Frances, speaks to the growing importance of streaming revenue in the record business. Although CD sales have been plunging for more than a decade, and song and album download sales leveled off last year, YouTube's ability to "monetize" a video with lucrative advertisements is growing into a crucial source of revenue. "It's hard to imagine, in my lifetime, [the record business] ever getting as crazy as it was in the Nineties, where you couldn't help but make money," says Grier, whose clients mostly derive YouTube income from songwriting and publishing. "But there's definitely a feeling that if streaming can be turned into a primary way of delivering music, it's going to benefit the musicians in a number of ways." YouTube doesn't divulge how much it pays performers, songwriters, labels and publishers in advertising revenue, but music-business sources say it ranges from 60 cents to $2 for every 1,000 views. A performer receives royalties every time a YouTube or Vevo user clicks on a video, and a songwriter usually gets money whenever a cover version of a song (as in Baauer's "Harlem Shake" spinoffs early last year) generates enough views to draw advertisements. Many in the record business are bullish about YouTube revenue, although some artist reps say they have yet to see significant money. "For most artists, it is not a lot yet," says Jamie Cheek, a business manager who represents prominent rock artists. "It is still a bit complicated to claim, and the dollars are often not worth all that effort to claim." Artists hoping to claim revenue off covers of their songs often must go through the cumbersome process of tracking down each video individually and seeing if YouTube owes them money from ads. Still, many in the record business believe that will soon change due to a paradigm shift from download sales to streaming music. According to Nielsen SoundScan, music fans streamed more than 118 billion songs last year, a 32 percent increase compared to 2012 and the revenue equivalent of 59 million purchased albums. Beats Music recently launched a new subscription service for streaming music fans, and YouTube is planning one of its own sometime this year. "There is money being generated in this ad-supported model," Pickett said in Cannes. "It is going to artists."